When the police teams intercepted the accused's bike near Tourism Reception Center, they tried to lob a grenade at the police party, DCP (special cell) P S Kushwah said. 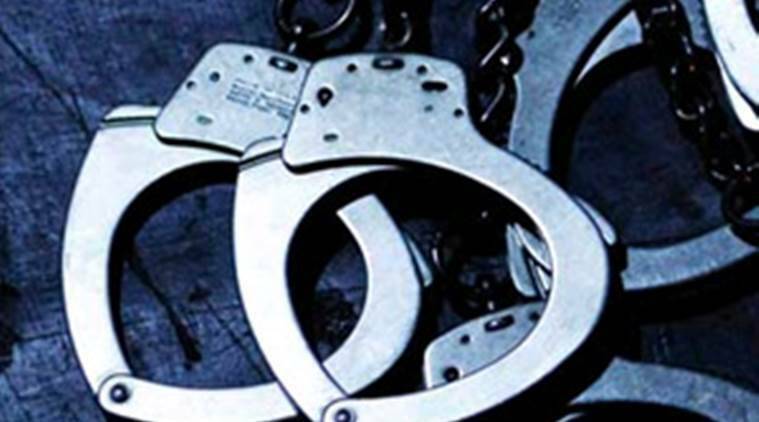 Three suspected members of Islamic State of Jammu and Kashmir (ISJK), including a student of Jamia Millia Islamia University who went missing last year, have been arrested by the special cell of Delhi Police in a joint operation with J&K Police in Srinagar on Saturday. DCP (special cell) P S Kushwah said the accused have been identified as Haris Mushtaq Khan, Tahir Ali Khan and Asif Suhail Nadaf. “They are residents of different places in Jammu and Kashmir. They were arrested from Srinagar’s Kothi Bagh area on a specific input. When police teams intercepted their bike near Tourism Reception Center, they tried to lob a grenade at the police party,” he said. Two loaded pistols, three grenades, four cellphones and ISIS flags were recovered from their possession, Kushwah said. Haris had completed his graduation from JMIU and was pursuing MA in the same university. In December last year, he went missing and allegedly joined the ISJK. His family members had lodged a missing person complaint. During investigation, it was found that Haris, Tahir and Asif were in touch with some of their accomplices in Delhi for obtaining weapons. On September 6, the Delhi Police had arrested two of their accomplices — Parvaiz Rashid Lone and Jamsheed Zahoor Paul — from the Red Fort area. They had come to Delhi allegedly to get illegal arms from their contacts.